What is the Difference between a Biomechanic and a Doctor? by André Loyd, Ph.D. The difference between a doctor and a biomechanic is the same as a mechanic and an accident reconstructionist. Mechanics are experts in diagnosing and fixing what is damaged on a vehicle, while accident reconstructionists are experts on deciphering what happened during a vehicle accident. Likewise, doctors are skilled at diagnosing and healing an injury, but biomechanics are trained to tell you how the injury occurred. An accident reconstructionist looks at the physics of an auto accident, just as a biomechanic looks at the physics behind an injury. 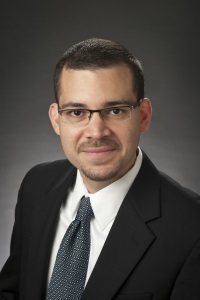 Hernán Mercado-Corujo is speaking at the NASP Annual Meeting in Austin, Texas on November 7. He will present Prepping Your Expert for Deposition and Handling Difficult Expert Situations at 2:15 p.m. He’ll also be hanging out at the Crane Engineering booth #519 throughout the conference. Luis Flores, Matt Rosek (McCoy, Leavitt, Laskey, LLC) and Carol Siefkes (Markel American Insurance) are speaking at the 2017 CLM Southeast Wisconsin Education & Networking event on November 9 in Wauwatosa, Wisconsin. They will present Don’t Sink the Ship: Boat and Maritime Accident Investigations and Claims to a group of claims managers, experts and attorneys. Jim Panko will present Effective Ways to Involve Experts in Your Legal Strategy at the South Dakota Defense Lawyers Association Annual Conference on November 10 at 10 a.m. Catch up with him at our booth! Employee Spotlight: Adam Wise, P.E. For over fifteen years Adam Wise has worked in the areas of motor vehicle accident investigation, reconstruction and product liability analysis as a mechanical engineer with Safety Engineering Associates. He is experienced in accident site and vehicle documentation; motorcycle, ATV, and passenger vehicle testing; design analysis; and much more. An interesting case Adam recently worked on involved a motorcycle operator riding a 1000cc sportbike on an interstate highway who claimed that he was “bullied” by a driver operating a loaded tractor-trailer. Message from Tom Crane, P.E. Nearly four years ago, Crane Engineering acquired Safety Engineering Associates to further bolster and broaden our expertise as a forensic engineering company. I am proud of how the Crane and SEA personnel have come together and thrived since and during this transition. After a fire, damage assessments begin. One aspect of assessment is the electrical system. There may be direct damage to electrical wiring or devices, or indirect damage from heat, smoke or water (fire suppression). It’s surprising how frequently I see cost estimates for repairs that fail to include replacing, or adequately repairing, equipment that has been exposed to smoke or water. Crane Engineering Presents . . .
Luis Flores: ASCE Congress on Technical Advancement, Duluth, MN—Sept. 10. Topic: A Synopsis of Incident Site Documentation. Scott Dillon: Propane Gas Defense Association Fall Meeting, Chicago, IL—Sept. 28. Topic: Application of Technology, Forensics and the Scientific Method to an Alleged Propane Fire—Case Study of a Fire at a Furniture Store. Timing in Fuel Gas Migration: Modeling and Analysis by Christopher J. Brand, P.E. As the cliché goes: “timing is everything.” This often applies to forensic analysis of fuel gas leaks and their subsequent migration, whether it be natural gas or propane. Usual questions are, for example, how long did the leak run before an explosive mixture was produced? What was the gas concentration at the time of the incident? Would the odorant have been detectible? The answers to these questions lead to an understanding of the incident. With over 20 years of experience as a mechanical engineer, Scott Sollars has a solid background in mechanical systems, safety and hazard evaluation, combustion mechanics, and fuel-gas systems and components. He has extensive experience conducting site inspections, particularly those involving product liability. Over Scott’s years of work as a mechanical engineer one thing he often sees is the mishandling of party notification. He was reminded at a recent inspection of how important it is to fully identify interested parties prior to scheduling an inspection. FT-IR (Fourier Transform Infrared) Spectroscopy is a technique used to extract chemical information from a sample, using infrared energy. Some molecules, when exposed to infrared energy, absorb some of it. Measuring the amount of energy absorbed over a range of infrared light can indicate the types of chemistry present in an unknown sample. Some of the areas where this technique may be useful are in the identification of foreign particles in food products; verification of various types of plastics; and analysis of oils, gasoline and diesel fuel in potential vandalism cases. Exciting Upgrades to Our Scanning Electron Microscope by Lloyd M. Meissner, P.E. Crane Engineering has been at the forefront of forensic investigations for decades. Our first Scanning Electron Microscope (SEM) was purchased in 1995. The SEM allows for high magnification imaging of fracture surfaces of metals, ceramics and plastic samples. It is a key tool used in forensic investigations, complementing photographs and optical microscopy. Mark Weiss is a highly skilled laboratory chemist and technician with more than 25 years of experience in polymer analysis and processing. Among other investigation support, Crane Engineering looks to Mark’s chemical analysis skills for the identification of materials and contaminants. Mark has been with Crane Engineering for five years. One of the aspects he finds very fulfilling is the unconventional nature of his work. While much of it takes place in Crane’s chemistry lab, oftentimes data and sample collection occur on rooftops, in aircraft, or standing in a working hog barn—rarely a dull moment! Mark recently spent many hours researching new lab equipment and was instrumental in procuring our new FTIR Spectrometer. For assistance with your polymers/plastics, chemistry, and unidentifiable residue needs please contact Mark. ATV Dynamic Front Wheel Load by Adam Wise, P.E. A recent case raised the question of what dynamic vertical front wheel loads are encountered by an ATV during “normal” and “abnormal” use. To answer that question, Safety Engineering Associates designed and fabricated an instrumented ATV front suspension strut and conducted numerous tests to measure wheel loads while riding. An on-board data acquisition system recorded the vertical wheel force, front suspension travel, vehicle speed and other parameters of interest. Employee Spotlight: Curtis M. Beloy, P.E. Curtis M. Beloy, P.E. is a mechanical engineer who specializes in the areas of on- and off-highway accident reconstruction and vehicle testing. He provides expert analysis and reconstruction of collision events including all types of vehicles such as passenger vehicles, commercial vehicles, tractor-trailers, motorcycles, bicycles, and pedestrians. 3D Photogrammetry Used to Analyze Off-Road Accident Scene by Curtis Beloy, P.E. Safety Engineering Associates analyzed an ATV accident resulting in a product liability claim that had occurred over 10 years earlier. Leading up to trial, a point of contention with the plaintiff’s accident reconstruction expert involved the specific location of physical evidence on a hillside where the accident occurred. Photographs taken the day of the accident depicted the evidence, however the perspective that the photographs were taken from were not ideal for showing where the evidence was located relative to the base of the hill. While we were confident in our plot of the physical evidence, we sought a way to clearly demonstrate this to a jury. Employee Spotlight: Matthew J. Jeske, G.I.A.C, A.C.E. Matthew Jeske, a GIAC Certified Forensic Examiner (GCFE) by the SANS Institute, brings a passion for technology to Crane Data Forensics. Matt has been providing his expertise in data forensics, data recovery and technology consulting at Crane Engineering for over four years with nineteen years of information technology (IT) experience. His casework has varied from data collection in industrial explosions to mobile device examination for local law enforcement crime labs to corporate incident response. I recall a friend of mine asking me about a year ago if I was worried about autonomous vehicles making my job as a vehicle accident investigator essentially obsolete. I retorted: as long as it’s still humans behind the software, there will always be room for, well, human error. In the realm of accident reconstruction, and with the advent of the passenger vehicle event data recorder (EDR), colloquially known as the “black box,” comes a professional responsibility to correlate extracted data to physical roadway and vehicle evidence. Modern vehicles are equipped with various modules whose primary function is to control the various safety restraint systems, some of which can also record event data from a collision. Inspecting Those Hard to Reach Areas–Quickly and Inexpensively by Scott A. Nesvold, M.S., M. Eng., P.E. There are times where an inspection will be necessary in the most unique or hard to reach places. In some cases, it is too difficult or time consuming to rent, transport, and construct temporary equipment that may or may not end up gaining the access that is required. This can cause delays that are costly and can miss the opportunity to document the area of interest. Crane Engineering has the ability to use ropes access techniques as an alternative means of gaining access to difficult to reach areas in seemingly impossible locations in a manner that is cost sensitive, efficient and highly effective. Motorcycle Crash and Burn: Fuel Filler Cap Analysis By Curtis Beloy, P.E. A man on a sport-touring motorcycle was involved in a single vehicle crash while riding on a country road. Immediately following the crash, flames began to engulf the motorcycle and the man sustained injuries from the fire. A claim was brought against the motorcycle manufacturer alleging the fuel filler cap on the fuel tank was defective, resulting in leaked fuel and the post-crash fire. According to the Plaintiff’s testimony, there had been prior occasions where he attempted to close the fuel cap after a fuel stop, only to have the cap come open shortly thereafter. He further testified that at the time of the subject crash, he saw fuel spilling out of the cap as his motorcycle was falling to the ground. Since the ignition key of the motorcycle is used to access the fuel cap, the claims included that the fuel cap design should incorporate a safety mechanism which prevents removal of the key unless the fuel cap is properly latched.